Groove Music Pass was first on the chopping block, now the Groove Music app for Android and iOS will be retired by the end of this year. 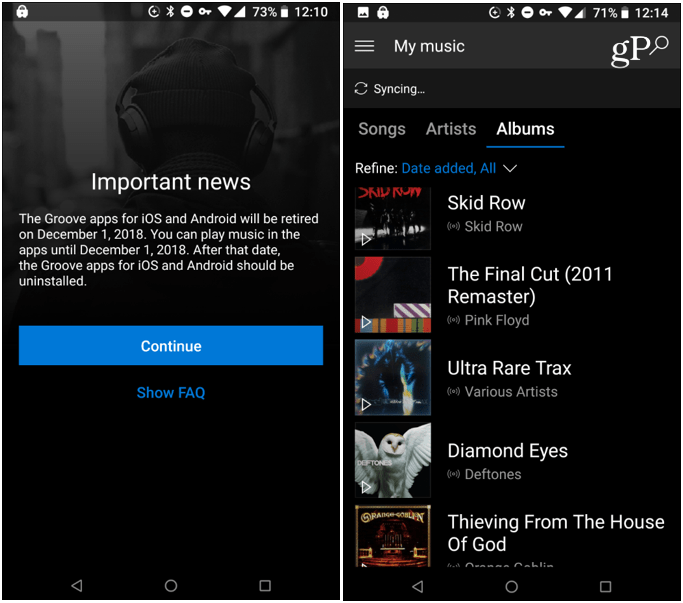 Microsoft recently announced that it is retiring its Groove Music app on Android and iOS. Earlier this year Microsoft killed off its streaming music service but promised the Groove Music app would continue to be supported. While that still holds true for Windows 10 users, it will no longer be the case for the two mobile platforms. Currently, the app is no longer available to download for either platform. And Microsoft says the app be officially retired on December 1, 2018. After that, the app will no longer work, and it’s recommended you uninstall it. You’ll no longer be able to use the app to play your audio files stored on OneDrive — which was also a nice benefit of the app. However, the company did say you can still play those stored files with other apps that can access them. According to Microsoft’s FAQ page: “You can access OneDrive online or through the OneDrive app on any supported device. To keep playing your music and playlists in Groove, use the Windows 10 Groove Music apps on PC, Xbox, or Windows Phone.” If you’re a long-time user of the app, though, you won’t get the same experience with album art and music controls. I was one of the few who actually subscribed to Microsoft’s Groove Music Pass streaming service and was happy to see it become available on both mobile platforms. It allowed me to manage playlists on my main PC and have the music synced with my other devices. When the company retired Groove Music Pass it offered an easy way to move your music to Spotify and that’s what I’ve been using since. And I do still use Groove to play FLAC files on Windows 10 that are stored on OneDrive. Similar to seeing Microsoft technologies that died last year as an enthusiast, it’s sad to see this project be deprecated. But Groove never saw much adoption by Windows 10 users, or anywhere else. So, I doubt the Groove Music on Android and iOS will be missed. And I do worry about the future of the app on Windows 10 moving forward.